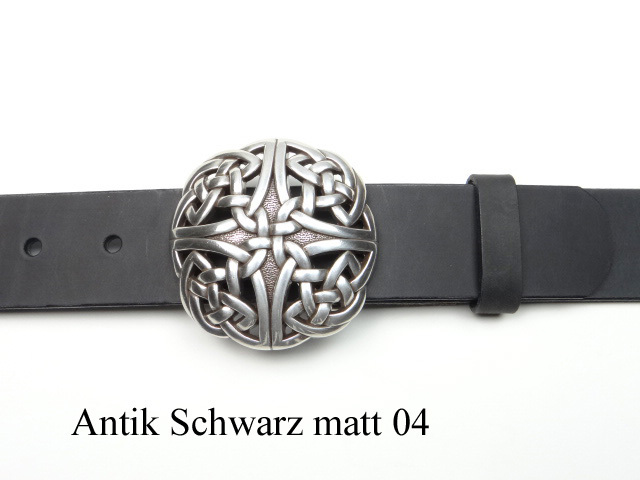 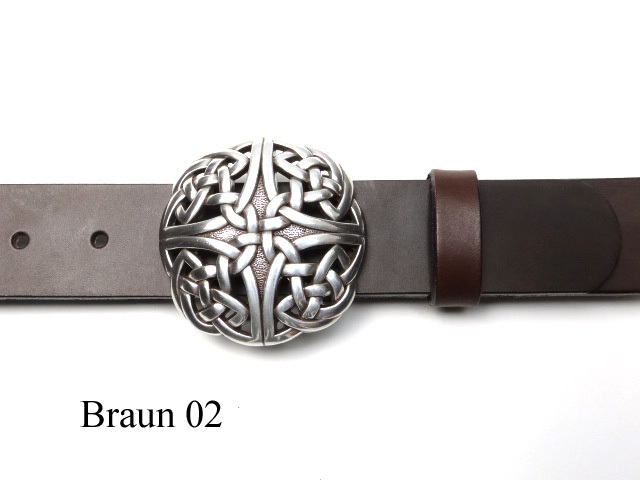 Leather belt with a round filigree celtic designed buckle. 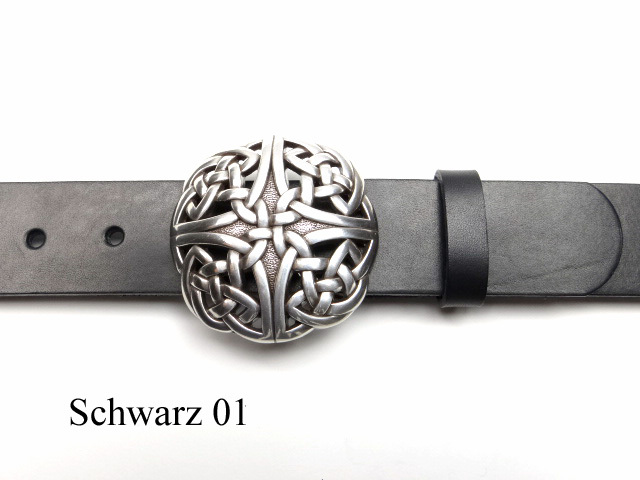 This high quality buckle is silver-plated and nickel-free. 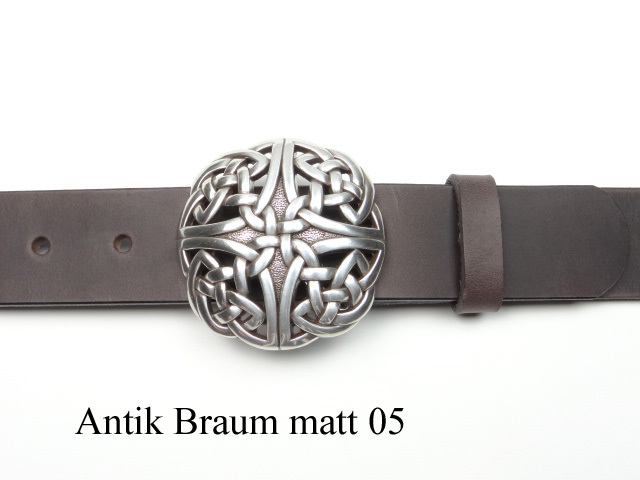 The leather belt is 4cm wide and available in five different strap colours and all bespoke sizes. 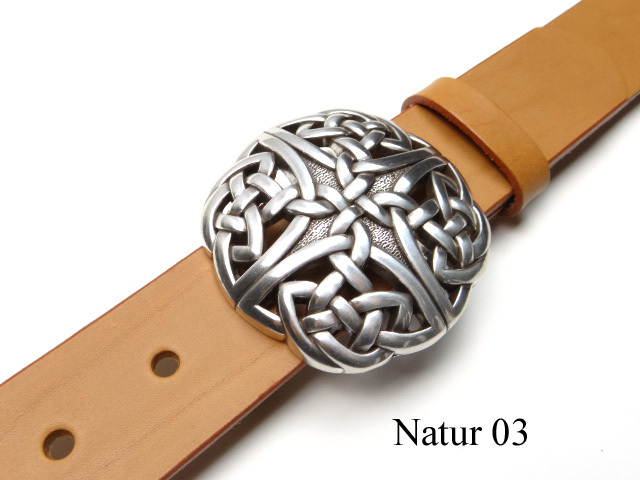 A celtic knot is a design consisting of an endless inter-twining spiral, perfectly depicted in this belt buckle. 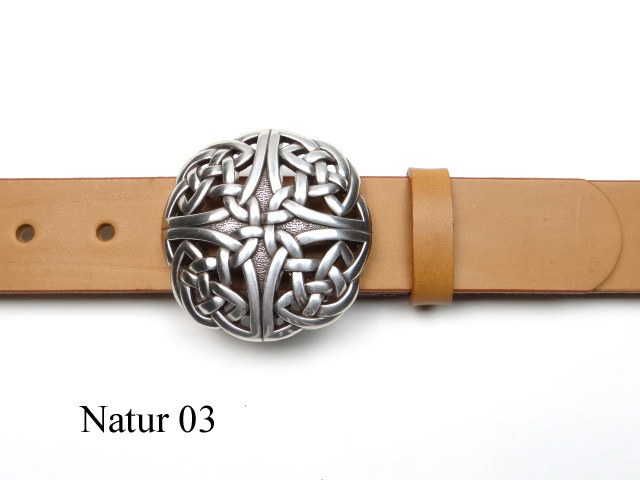 The form shown here is considered to be one of the very first symbols to be found in celtic mythology.